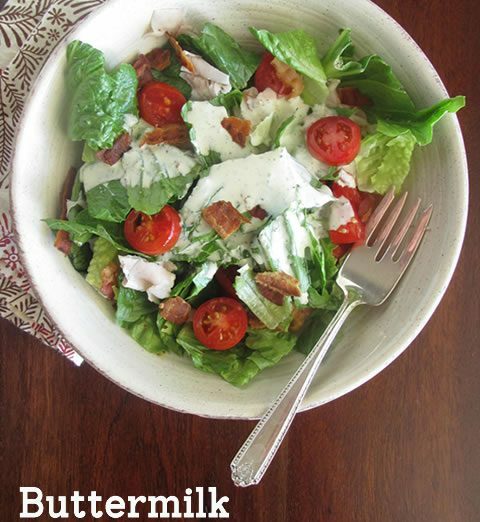 Buttermilk Ranch Dressing Recipe | Buttermilk Ranch Dressing Recipe – oh, that's tasty! Looking for things to do with summer’s last abundance of garden tomatoes? When you’re tired of BLT’s (is that possible? ), this is one delicious way to serve up the same flavors with a twist. 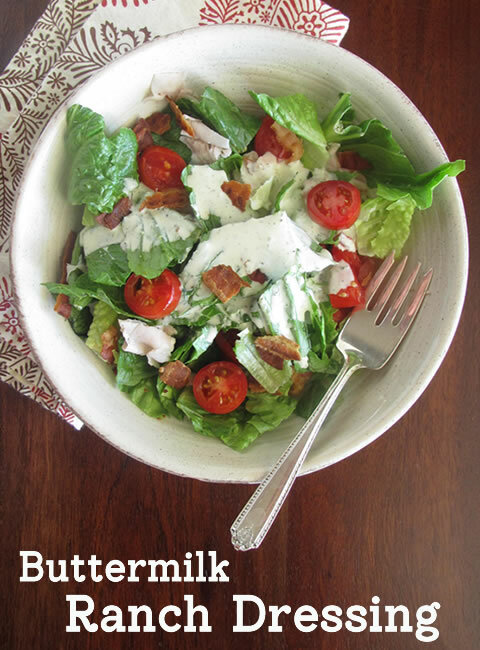 This recipe is based on Ina Garten’s (aka Barefoot Contessa) buttermilk ranch dressing. I’m not saying I could improve on her: these changes were just made to accommodate my being short on fresh basil, my husband’s aversion to too much mustard flavor, and our taste for less salt in things. Also, I prefer the taste of yogurt to that of mayo, so I tweaked that proportion a bit. I loved how it came out! I ate this salad or some variation of it for four days straight! I hope you’ll love it, too. Place the green onions, basil, lemon juice, mustard, olive oil, garlic, salt, and pepper in the bowl of a food processor fitted with the steel blade. Puree for 15 to 20 seconds to make a smooth mixture. Add the mayonnaise, yogurt, and buttermilk and blend until smooth. Transfer the dressing to a container, cover, and refrigerate for at least 1 hour, for the flavors to develop. 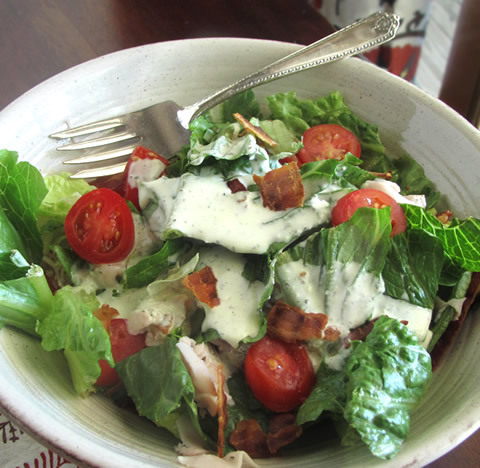 Arrange the salad ingredients on salad plates and drizzle with the dressing. Sprinkle with fresh ground pepper if desired, and serve.